It’s only been a few months since Pirtek Stadium had its farewell, now it’s time for it to go down. 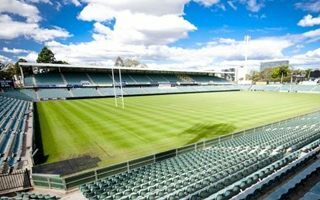 The demolition comes ahead of a new $300 million (US$225m) stadium that is expected to be open for the start of the 2019 NRL season. Construction crews said they will spend at least a few months levelling the stadium before work on the new one begins. The site is confirmed to be contaminated with asbestos to an unclear extent, but this issue is said to have no impact on planned time frame. Once construction begins this summer, workers will have time until early 2019. The project requires some 800-1,000 people on site and is thought to bring even more permanent jobs once the new Western Sydney Stadium opens (up to 1,200). With 30,000 seats it’s expected by New South Wales government to become Australia’s best ‘rectangular’ stadium. It will offer a completely covered auditorium, very compact layout and the country’s steepest upper stand (34°) which becomes a massive terrace on the north end.